In an effort to support mission-driven developers in addressing the San Francisco Bay Area’s housing crisis, Capital Impact is deploying a variety of lending products through The Partnership for the Bay’s Future Investment Fund. 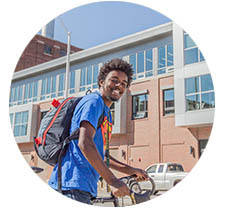 The Fund is part of a larger $500 million effort launched by the Chan Zuckerberg Initiative, along with the San Francisco Foundation, Ford Foundation, and LISC, known as “The Partnership for the Bay’s Future.” The Partnership is working to advance meaningful change to address critical housing needs, prevent displacement, and support racial and economic inclusion across the Bay Area. Our shared goal is to stabilize and expand housing for up to 175,000 households over the next five years, and preserve and produce more than 8,000 homes in the next decade. Capital Impact is committing $50 million in flexible, mission-driven capital to increase access to affordable housing. Our Community Development Financial Institution (CDFI) partners at LISC and the Corporation for Supportive Housing, as well as a variety of philanthropic donors, are also contributing to this Fund to maximize its impact. 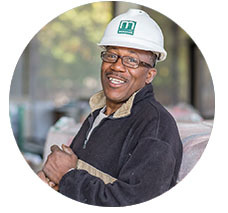 In order to increase the supply of affordable housing and foster economic development, we will engage with mission-driven developers, community groups, neighborhood associations, and local partner organizations. Our community-led, inclusive growth strategies will help ensure that residents can live close to employment, shopping, and critical social services. Coverage: Available across the five-county region of San Francisco, San Mateo, Santa Clara, Alameda, and Contra Costa counties over the next 5-10 years. Flexible: Offers new financing products that are not currently available and that have more flexible terms than traditional financing options. The Fund will cover the full range of financing needs, including: predevelopment, construction, acquisition, mini perm, and term loans. Nimble: Designed to address a wide range of current housing needs in a competitive market and to be responsive as market needs change. Creative: Demonstrates innovation in addressing the individualized and unique needs of each project. Our vision is that the Fund’s creative, community-based solutions can be replicated and scaled within the Bay Area and beyond. As a mission-driven organization, we are committed to supporting projects that create social impact. Once located in a small and cramped facility in San Francisco’s Tenderloin neighborhood, Capital Impact financed South of Market Health Center’s new 20,000 square foot state-of-the-art health care facility to provide a wide range of high-quality medical services to residents who would otherwise fall through the cracks of the mainstream health care system. Adding to the facility’s benefits is the fact that it is located on the first floor of a mixed-use complex containing affordable rental housing. We have invested more than $215 million in the San Francisco Bay Area to support inclusive growth and build healthy communities that have access to affordable housing, health and wellness services, high-quality education, and economic opportunities. Transformative investments are needed to get struggling Americans into the mainstream economy and working toward a brighter future. In this blog, we explain how CDFIs fill that role and create social impact for those most in need.